Gina Vide lives in Sweden between the city and the sea. 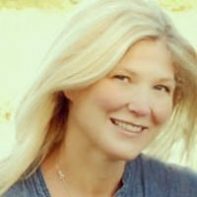 She freelances as a designer and thrives off of creating hands-on projects with the kids, sharing them on her blog, Willowday. 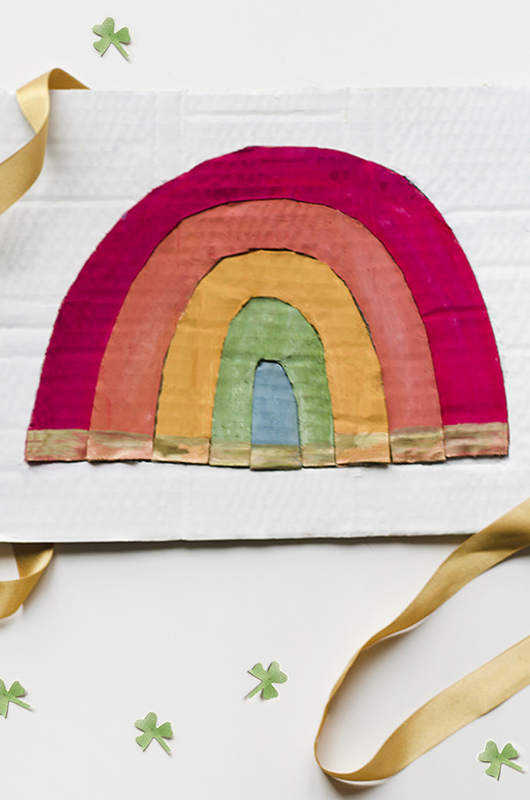 Celebrate St. Patrick's day with a super fun rainbow your little one can make time and time again to fill the house with color! Fruit juices make great paints! 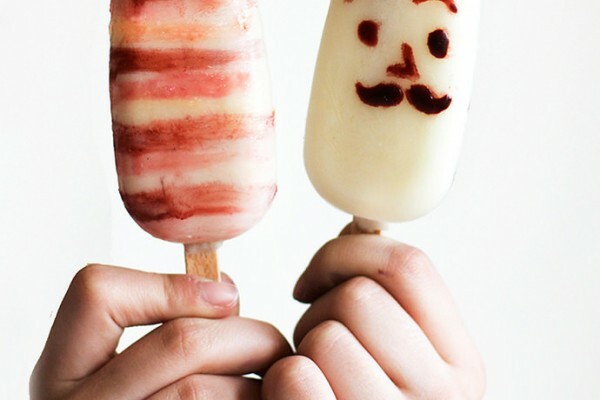 A fun and healthy way to turn that popsicle in your freezer into your little artist's next masterpiece. 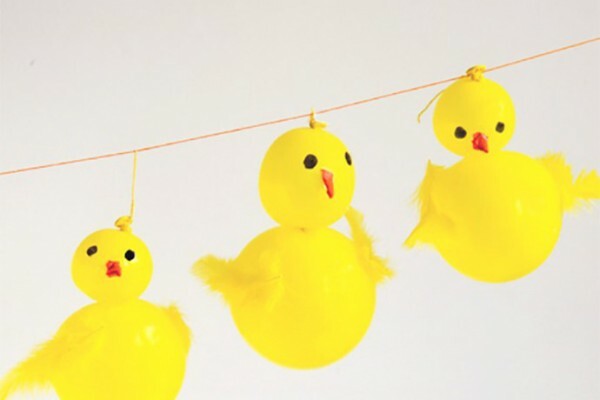 A banner of birdie balloons is the cutest way to let everybody know that Spring is in the air! 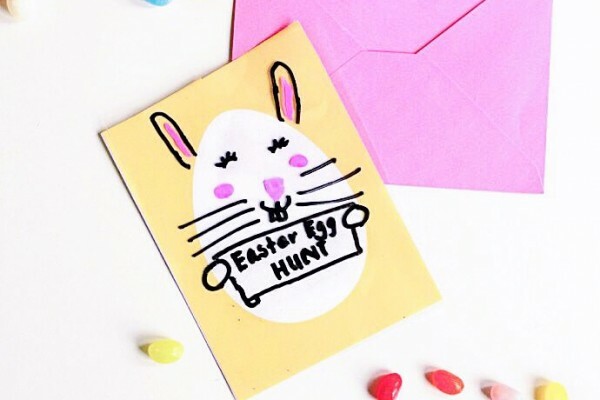 The fun never has to end with these cute & customizable dry-erase Easter cards! 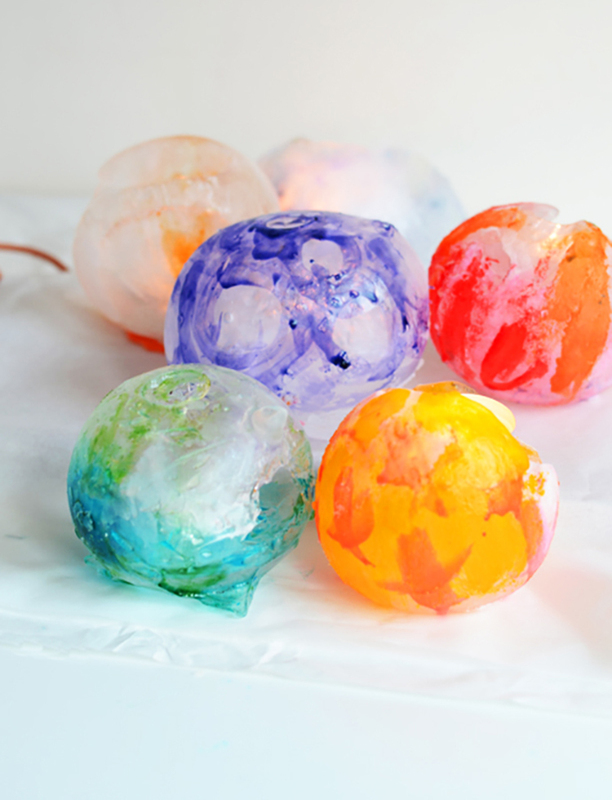 Create your very own outdoor ice gallery with one-of-a-kind works of art. 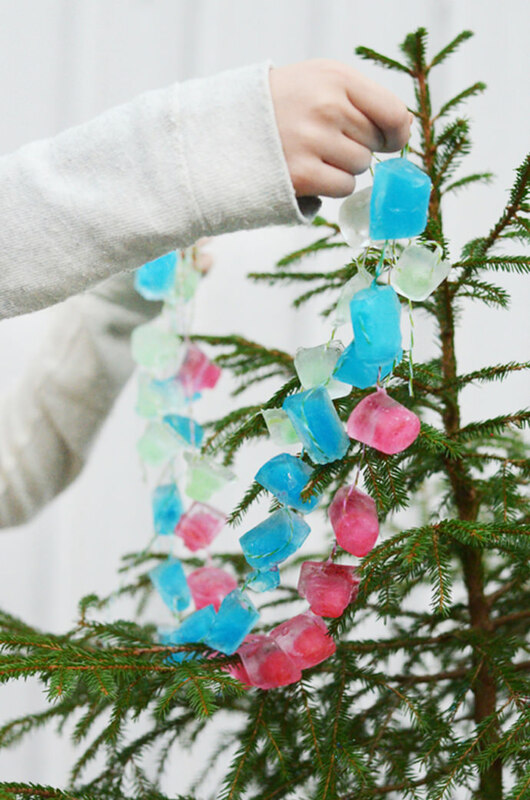 This icy cool garland is a perfect holiday craft activity for kids. 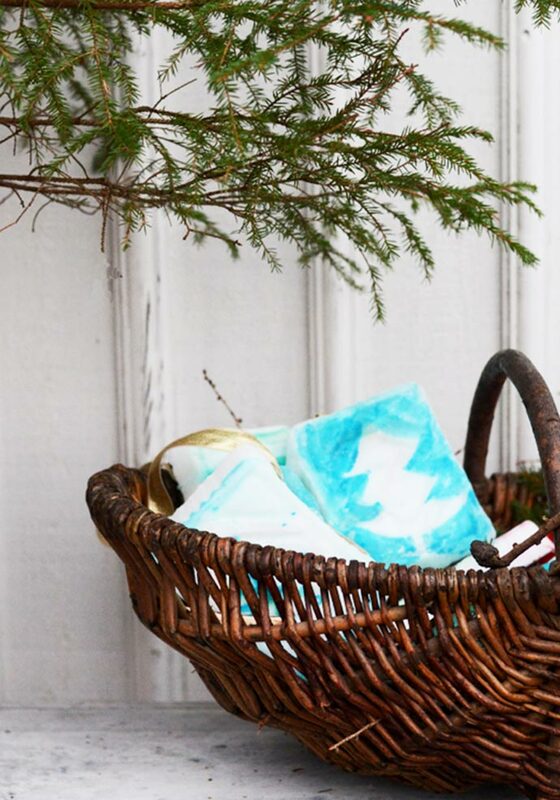 Here's a simple holiday craft that kids of all ages will enjoy. 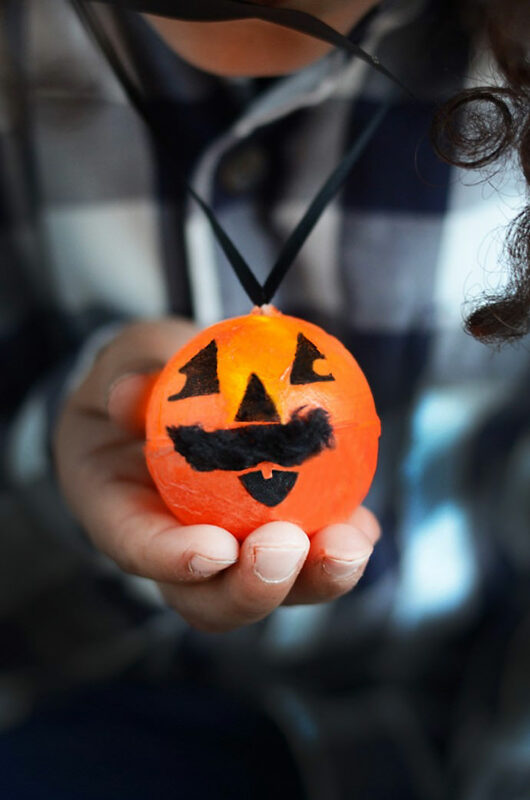 Make Halloween pumpkin light necklaces to light your way while trick-or-treating this year! 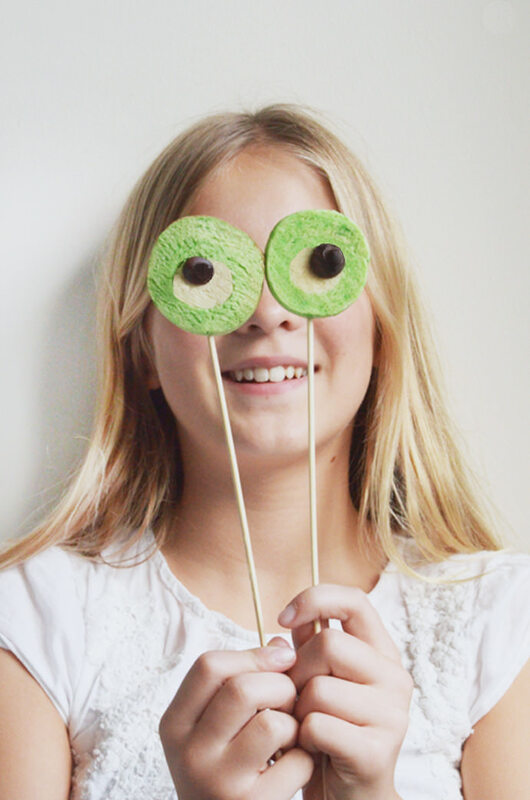 Whip up a batch of this googly-eye cookie pops for a super fun Halloween treat! 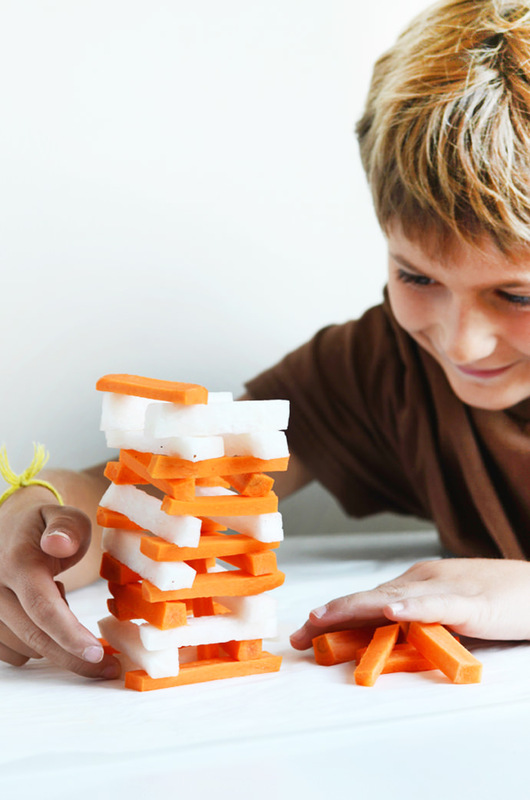 Build your own edible veggie jenga game! How high can you go? 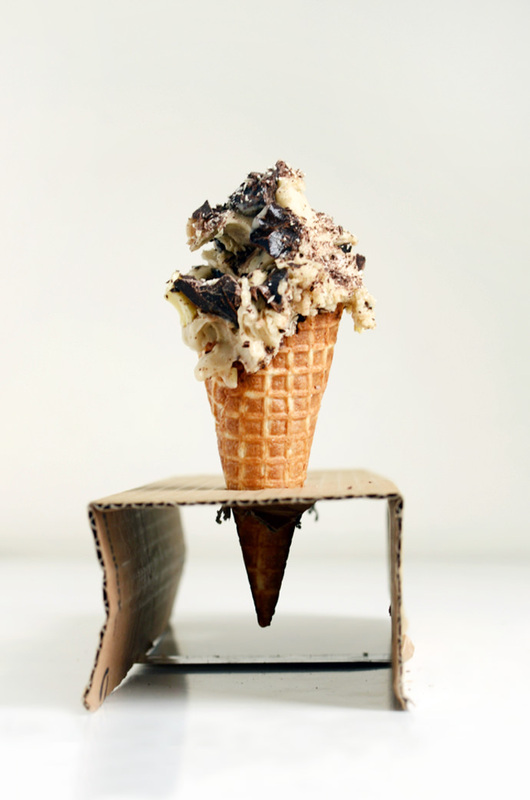 Turn that ice cream treat into a healthy snack—with bananas!